We can convert double to String in java using String.valueOf() and Double.toString() methods. It is generally used if we have to display double value in textfield for GUI application because everything is displayed as a string in form. Let's see the simple code to convert double to String in java. 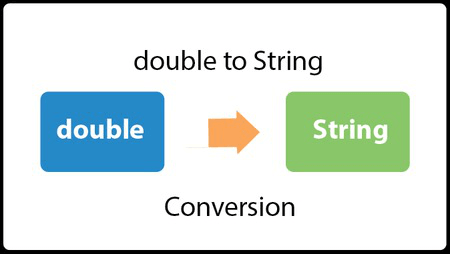 Let's see the simple code to convert double to String in java using Double.toString() method.